Getting to zero will require the efforts of the entire community. 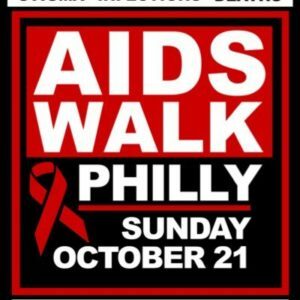 Please join us and thousands of others committed to getting to zero by participating in AIDS Walk Philly. The HIV/AIDS epidemic has evolved over the last 30 years, so AIDS Fund has evolved its mission to create an even greater impact on the lives of those living with HIV disease in our community. Beginning in 2017, AIDS Fund started providing support to the most vulnerable people in our community living with HIV by providing emergency financial assistance for critical life needs. Your participation is critical to increasing awareness, fighting stigma, and raising funds to support the most vulnerable people living with HIV disease in the greater Philadelphia region and “Getting to Zero”. Register and start raising funds today!